THOMAFLUID®-tubing screw joints are used for connecting flexible THOMAFLUID®-tubing. 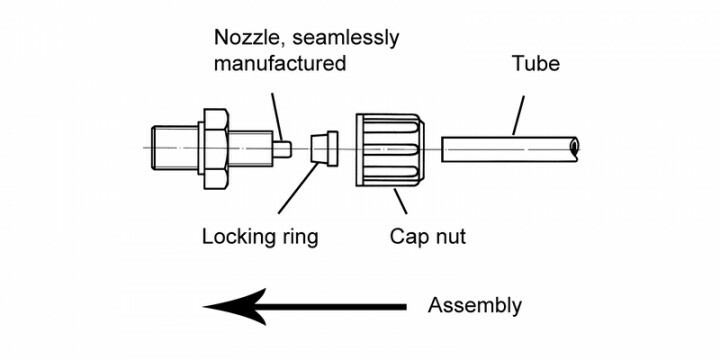 The connecting spigot is nearly cylindrical and dimensioned in such a way that dilatation of the tubing does not exceed 6 % (referring to the tubing outside diameter) even with unfavourable tolerances. The tension of the remaining dilatation achieves tightness of the screw joint also without knurled nut (checked up to 6 bar). The locking ring of the screw joints causes the arrestment of the tubing thus preventing effects of shear and torsion forces. Please note that of course the locking ring has to be left in place if the screw joint should be closed by a cover cap. 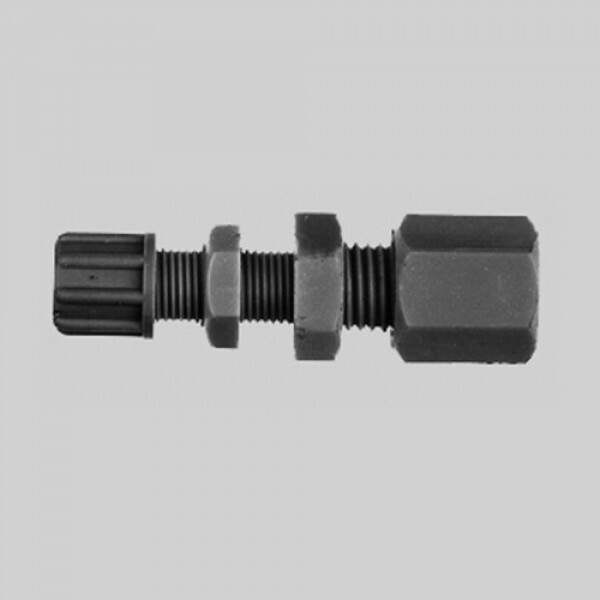 The elastic locking ring can be used repeatedly within the same screw joint, which means that the screw joint can be opened and tightly closed again using the same locking ring. The locking ring is fitted with a flange serving as a stop. 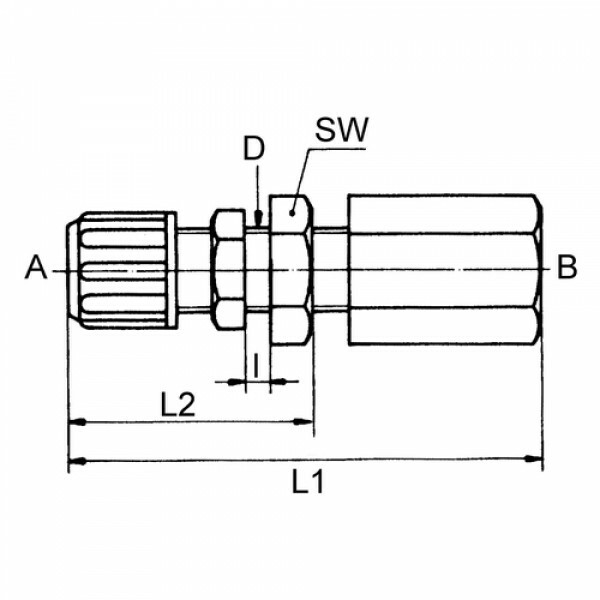 The tube can be pressed only to the point where the flange of the locking ring abuts to the body of the screw joint which causes an additional safety effect. 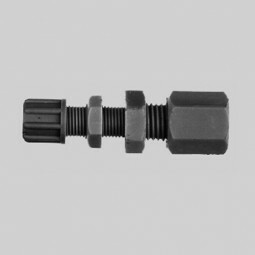 This safety effect is given by the fact that the screw joint remains tight even when the connecting spigot is teared off or heavily damaged by any impact. This tightness is caused by the knurled nut pressing in the locking ring into the cone of the screw joint thus producing a seal in the cone. The connecting spigot functions as a carrying bracket, and a carrying bracket has not necessarily to be a fixed component part of the screw joint body. Melt flow index MFR:	0.3 g/10 min. Comply with the guidelines from FDA and USP class VI, additionally PVDF has the KTW approval. Up to +150 °C it is non-toxic and since it has a similar property to glass it is a no-culture medium for microorganisms.